This has to be one of the most delicious pasta dishes, made using four classic Italian ingredients: Pasta, Parma Ham, dried wild mushrooms and Parmesan Reggiano. You can eat this either as a starter or as a main course. It is very rich, so if you use it as a starter, you only need a smallish ramekin per person. Melt the butter in a non-stick saucepan. Add the flour and blend, stirring all the time. Cook for a couple of minutes to cook the flour, still stirring. Remove from the heat. Bring the milk to near boiling. Place the butter and flour mixture back on a very gentle heat and add the milk a little at a time stirring constantly with a whisk. This will only take a couple of minutes. 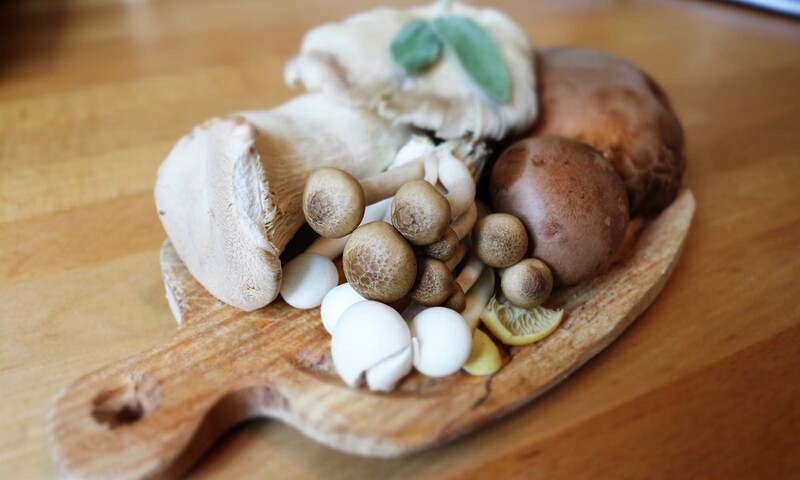 If you are using fresh wild mushrooms, slice them into chunks and fry gently in olive oil. If you are using dried, soak them well in cold water, drain them and add to the béchamel. Cut the Parma Ham into juliennes and add them too. Sprinkle in the chopped Parsley and season with salt and pepper. Don’t add too much salt as the Parma Ham and the Parmesan both have a certain amount of salt in them. Bring the mixture to the boil and remove from the heat. Butter your dish or dishes, depending on whether you are using 8 ramekins or one dish. Place a layer of soaked (or “no pre-soak”) pasta on the bottom, cover with the mixture and generously sprinkle with Parmesan. Repeat this until your dish is full. Place a knob of butter on top of a ramekin dish or several knobs on top of a single dish. Place in oven and cook for 20 to 25 minutes until bubbling and golden. Just before bringing it to the table, you can drizzle a little Truffle oil over the top for an extra subtle and delicious flavour.